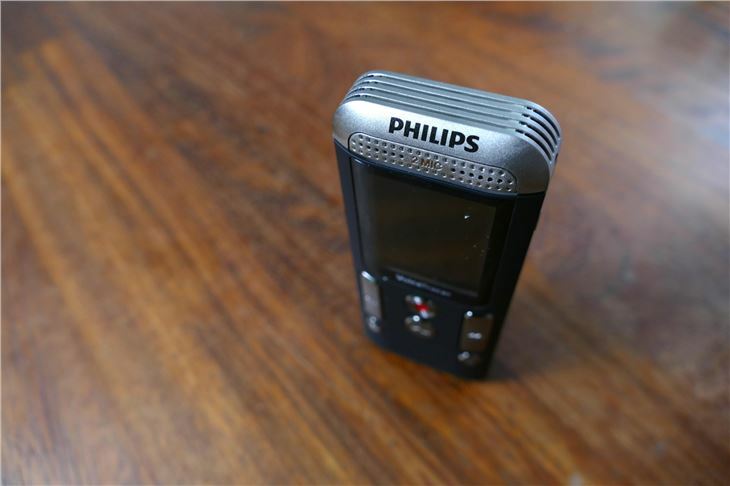 It’s a fancy name for a dictaphone, the DVT2710 here being a mid-range model in Philips’ fairly extensive voice recording range, which starts at just below 40 quid and goes up to £800+. That’s not a typo. In that context, this model seems decent value. 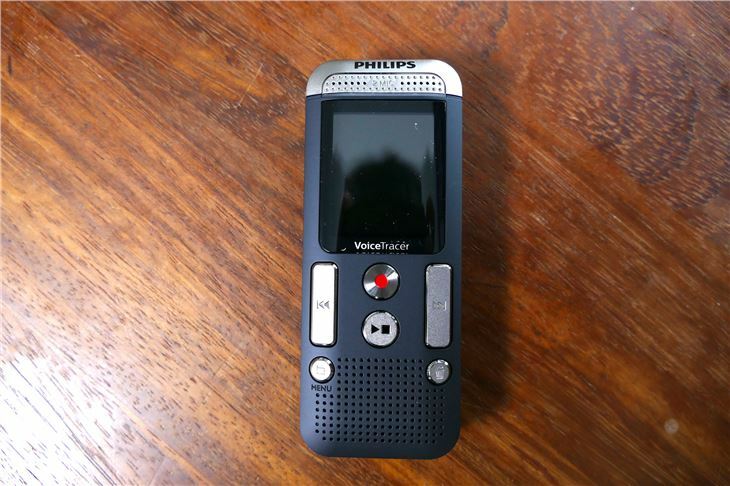 Although, given that a voice recorder is designed to do one thing, you may disagree. 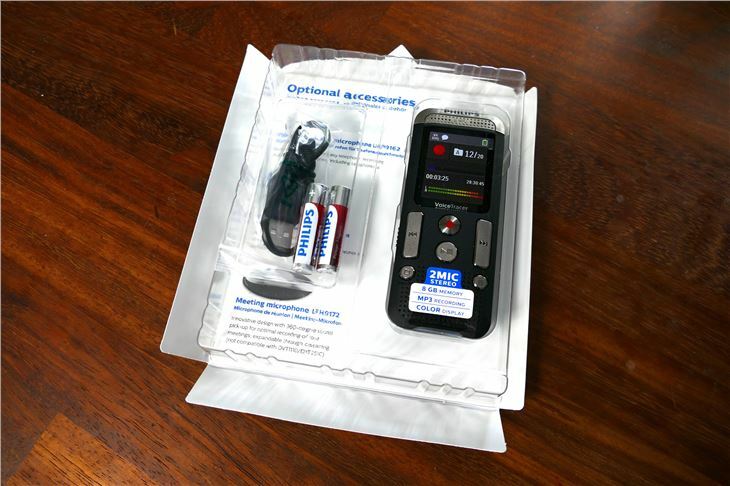 The DVT2710 has a couple of features designed to make your life easier, and your recordings sharp. 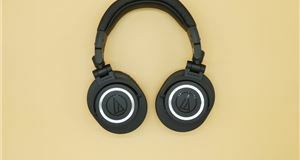 For a start it has voice activation, a feature that when engaged will automatically pause your recording when you shut up, and restart it when it hears you speak – a useful feature that will save your internal memory, and which in our experience works well. That said, there’s enough internal memory for 95 hours of standard quality recording, and you can add more via the MicroSD slot if you like. 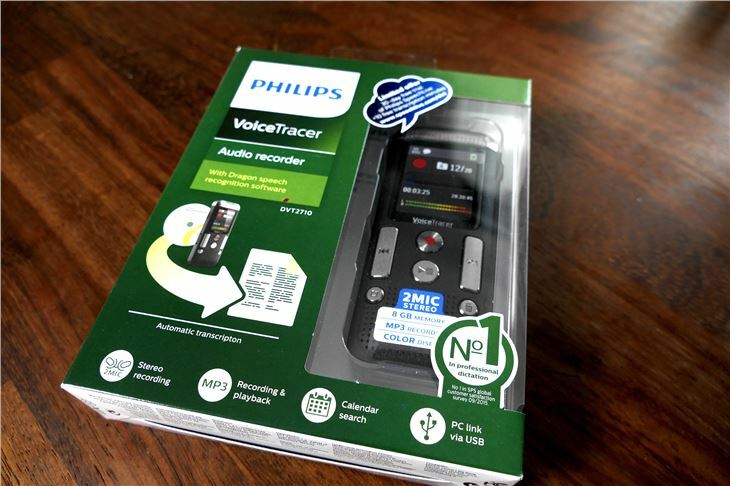 It also comes with Dragon Speech recognition software and a free trial to Philips’ own SpeechLive transcription service. The handset itself won’t type for you, clearly, but someone or something else will. Set up an account and you’ll be assigned a ‘partner’ company that will handle transcribing your uploaded voice files. 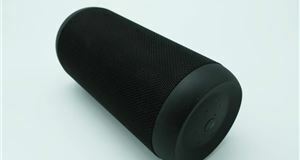 Alternatively, you can upload to speech recognition software and receive a near instant text file back. However, bafflingly, it’s Windows OS only and yours truly is a Mac user. While we did manage to test the Dragon Speech recognition software once we got behind a PC, it’s indicative of a user experience that’s evocative of 1990s-era Microsoft. Aside from being Windows-only, the included Dragon software is on a CD (remember those? ), there’s no obvious place to get a software download online. Once we got onto a Windows PC with a CD-drive, the software crashed a few times. Once it finally loaded, we went through about 15 minutes of steps, including having to print off a ten-page section of our chosen literature from Philips' list (we opted for Charlie and the Chocolate Factory). We read as clearly and loudly as possible in an almost silent room and yet after uploading the files, it couldn't process them. 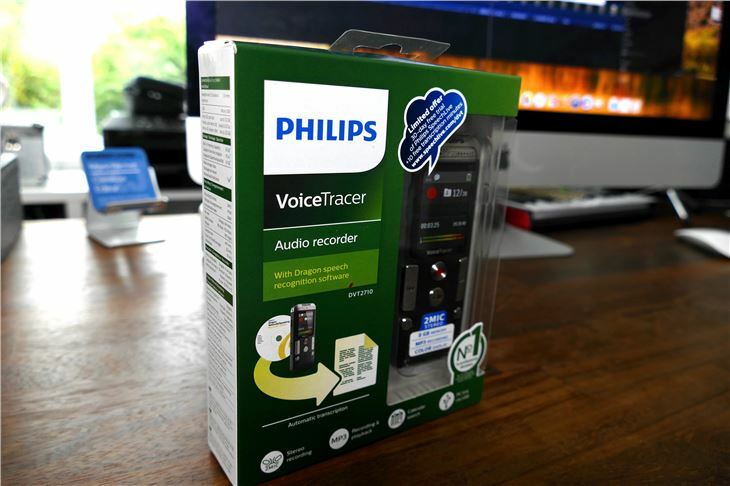 Uploading voice files from the VoiceTracer itself means plugging the device in and manually dragging the files out of it. No Bluetooth, and no decent software. 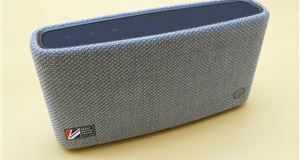 The unit itself feels antiquated too, with a design, functionality and feel akin to an old Nokia phone. The low-resolution screen is frustrating to use, largely because the play, record and skip buttons double up as clunky menu navigators. A dedicated click button would be much better. 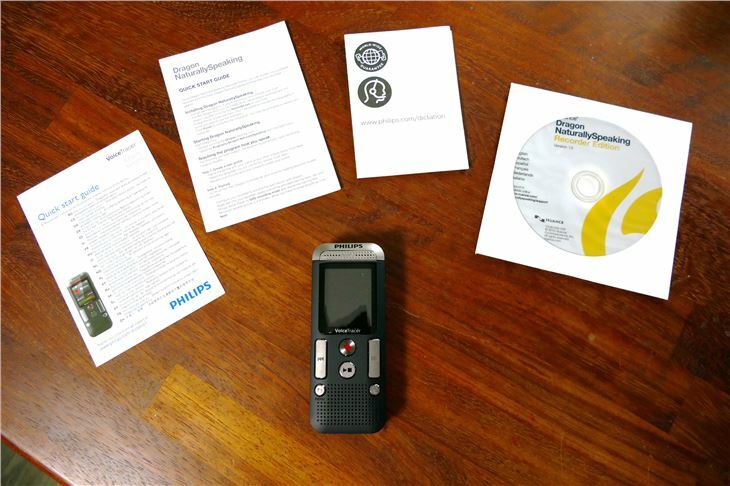 In terms of sound quality, Philips claims that the two microphones in the DVT2710 result in clearer sound quality, particularly in a noisy environment. 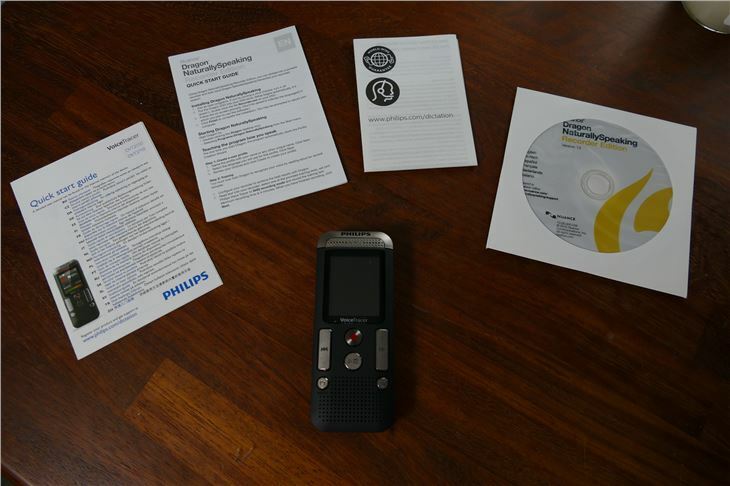 We also sent the two Philips recordings above to the SpeechLive automatic speech recognition service (not compatible with the Safari web browser - Philips evidently has no time for Apple). They came back as follows, both of them exactly the same: "When strangers to love you know the rules and so do I full commitment is what I'm thinking of you and get this from any other guy." We can draw from this that a decent note taking service this may be, but any formal document will of course need significant revision. If you know Rick Astley's beloved Never Gonna Give You Up, you'll also realise that the transcription is wrong - it should be translated as, "We're no strangers to love, you know the rules and so do I, a full commitment is what I'm thinking of, you wouldn't get this from any other guy." 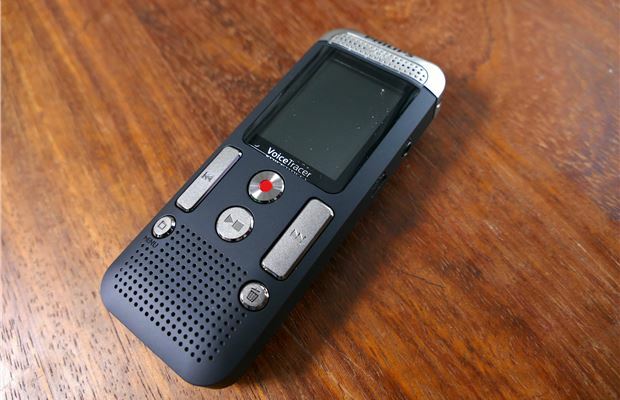 Our reviewer is a Geordie, so not the easiest accent to translate, but still - not great for a device with the sole intention is to record and translate accurately. 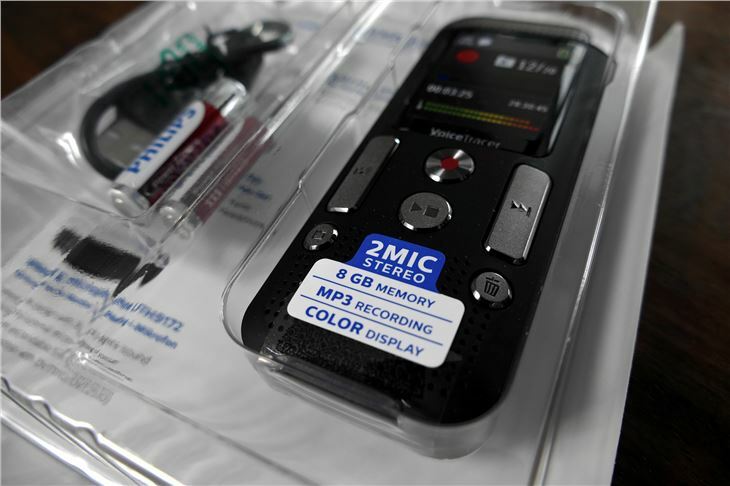 If you have a smartphone we’d suggest that’s all the voice recorder you need, should your needs be the odd personal musing, occasional meeting or song idea. 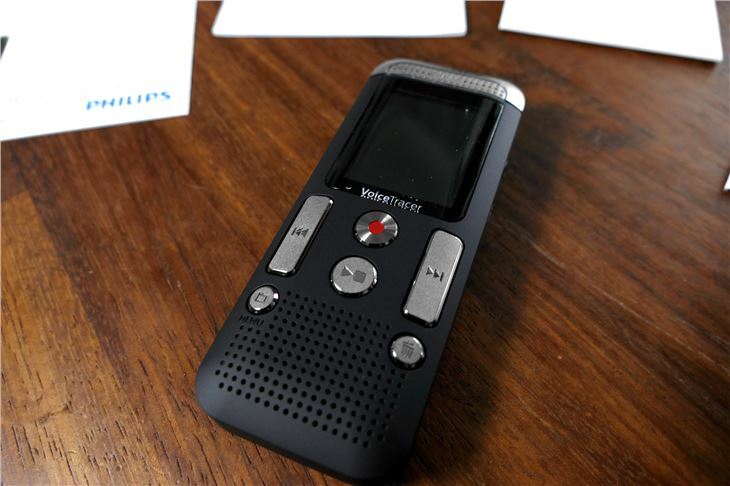 That said, for those involved in regular meetings who require copious recordings, this is certainly a handy little device. And, for all we’ve criticised the user experience, as a basic ‘press to record’ thing - it works well. 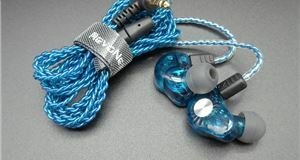 It's small, lightweight, offers lots of memory and lots of battery life. That's why we’d probably recommend one of Philips’ cheaper devices for most people. 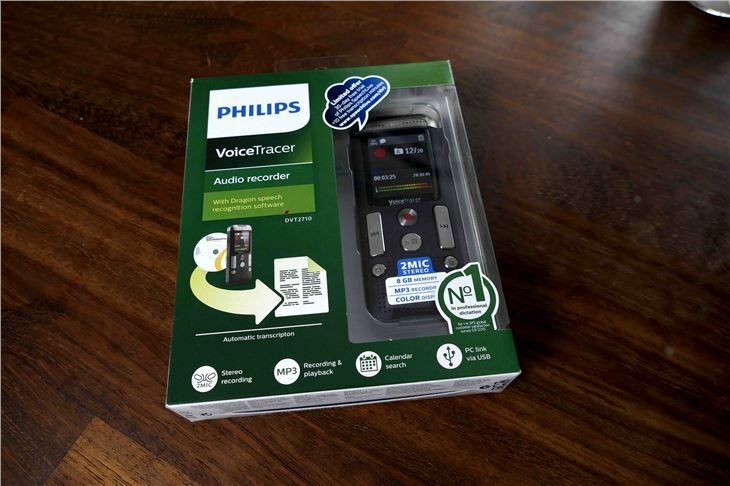 In the box: Philips VoiceTracer DVT2710, Dragon speech recognition software CD, USB-B cable, 30-day free Philips SpeechLive trial (via link), two AAA batteries.